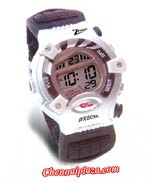 Watches & Timepieces > Titan Watches > Kid's Watch Collection. Item Description Smart looking kids watch with digital time and date display, silver black contrast polypropelene case and velcro strap. 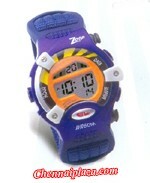 Item Description Lovely looking kids watch with digital time and date display, blue orange contrast polypropelene case and velcro strap. Item Description Elegant looking kids watch with digital time and date display, blue and black contrast polypropelene case and strap. 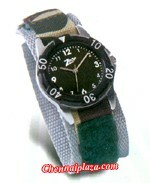 Item Description Rugged looking kids watch with analog time display, green and silver contrast steel case and military designer velcro strap.